The Fitz-Inn parking lot at 149 Newbury Street is conveniently located one block north of Copley Square. Nearby attractions include: Newbury Street shopping district, Copley Place, Prudential Center, and Hynes Convention Center. As a reminder, Newbury Street is one-way in direction from east to west, and 149 Newbury Street can only be accessed from Newbury Street heading west, or Dartmouth Street heading south. 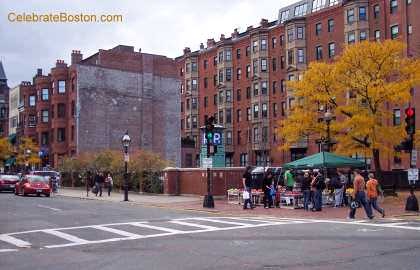 The small parking lot is on the right if driving down Newbury Street.